In molecular solids, the constituent particles of matter are molecules. Molecules are tightly packed and stacked up to form a molecular solid. 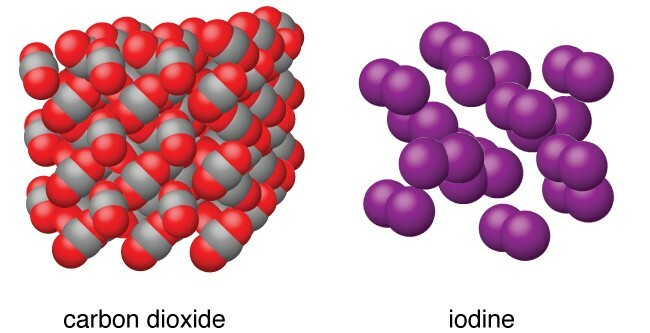 Molecular Solids are further divided into three categories, on the basis of nature of molecules. The solids in which the molecules are made up of same kinds of atoms are called Non-molecular Solids. The dipole moment of non-polar molecular solids is zero and the forces acting between constituent molecules are weak London dispersion forces. The solids in which the molecules are held together by strong dipole-dipole forces are known as Polar Molecular Solids. The atoms combined to form molecules are different in nature, For Example, sulphur and oxygen atoms combine to form SO2 which is a polar molecular solid. In Hydrogen-bonded molecular solids the forces responsible for molecular attraction are hydrogen bonds. The boiling and melting point of hydrogen-bonded molecular solids are higher than that of polar and non-polar molecular solids. The solids in which the ions are the constituent particles are called Ionic Solids. 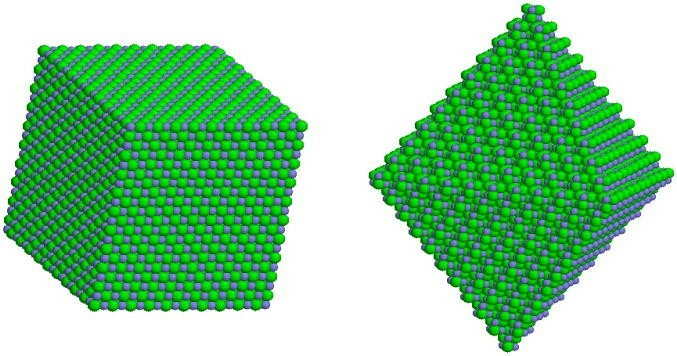 Ionic Solids come to formation due to three-dimensional arrangement of cations and anions. The forces operating between cations and anions are electrostatic forces of attraction. These forces are quite strong in nature. 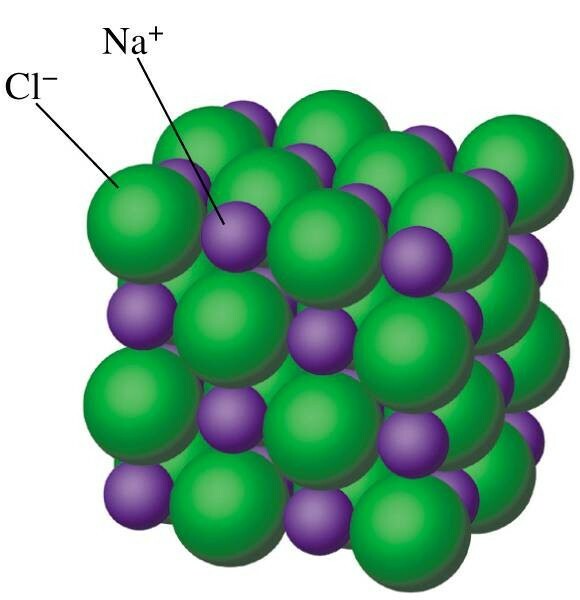 Example: Sodium Chloride (NaCl) (where Na+ is the cation and Cl- is the anion), Calcium Fluoride (CaF2) etc. fall into the category of ionic solids. In metallic solids, the constituent particles are metal atoms and free electrons. The arrangement is made such that the metal atoms remain stationary at fixed positions and electrons are free to move inside the lattice. The bonds which are responsible for the existence of metallic solids are strong metallic bonds. Due to the presence of free electrons, metallic solids can easily conduct electricity and heat. Example: Copper, Gold, Zinc etc. In covalent solids, atoms of same and different elements are interlinked to each other to form a covalent bond network. They are also known as Giant Molecules. The interparticle forces acting between them are covalent bonds. Covalent Solids are also known as network solids because the covalent bonds form a giant interlocked network like structure. Examples: Graphite, Diamond, Silica etc. They are very hard and brittle, for example, diamond is the hardest substance in the world. Graphite is made up of carbon atoms. The arrangement of carbon atoms is such that graphite forms a 2-Dimensional planar structure. This leads to the formation of different planar layers which can slide over each other. This makes graphite soft in nature. Why can Graphite conduct electricity while diamond can’t? The reason is the difference in the physical structure of graphite and diamond. In diamond the physical structure is three-dimensional in nature, that is, all the four valencies of carbon atoms are interlinked to each other. 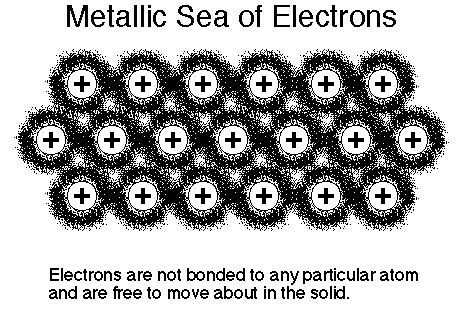 Due to close interlinked packing, there is no free electron available to conduct the electricity. Whereas in graphite, the structure is two-dimensional in nature that is, only three valencies are available for the interlinking of the covalent network and one valency is available for the conduction of electricity.